Directed by Klaus Räfle. 2017. Germany. 110 min. German with English subtitles. Hawaiʻi Premiere. In June 1943, Germany infamously declared Berlin free of Jews. But at that moment there were still 7,000 Jews living in the Nazi capital: hiding in attics, basements, and warehouses, protected by courageous Berliners while desperately trying to avoid deportation. Only 1,700 lived to liberation. 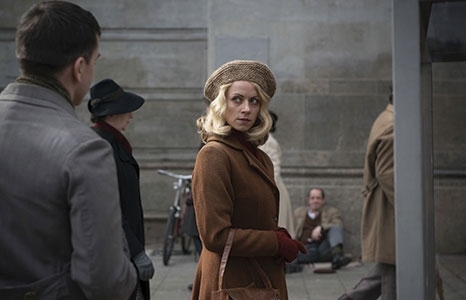 The Invisibles tells the stories of four survivors, interweaving their testimony with highly accomplished dramatizations, an unusual hybrid approach that brings edge-of-the-seat suspense to their years spent underground. The two men and two women whose stories unfold are well chosen, and their younger selves are sensitively portrayed: Cioma is an art student who uses his drafting skills to forge passports in exchange for food ration cards; Hanni dyes her hair blond and tries to pass as Aryan; teenager Eugen is handed to a succession of sympathetic Communist families; and Ruth must resort to roaming the streets before being taken in by a surprising protector. If their stories sound contrived, The Invisibles makes their veracity all the more stunning.